What a world we live in! Once upon a time, we had to take photographs on a disposable camera, remove the internal film, and take it to a local outlet to get the photographs developed. After waiting a few days, voila, you’d have your snaps! Thankfully, we’ve moved on since those days, and this Polaroid instant mobile printer, which you can grab at a reduced price right now, is a testament to that progress. Let’s make no mistake about it; this is a wonderful gift for anyone who has an interest in photography. And, let’s be honest, given that photographs are essentially constant memories of the good times, and that they are highly emotive, this gift should pretty much appeal to absolutely everyone. It also feels like a little blast from the past given the fact that it has the Polaroid name emblazoned all over it. For those who may not know, Polaroid was a pretty big deal back in the day and basically pioneered the instant photograph with the iconic Polaroid camera. So, as for the product, it’s extremely simple. It’s designed and developed as a lightweight and highly portable little product that can instantly print photographs without needing to be tethered to power or without need any additional bulky equipment. 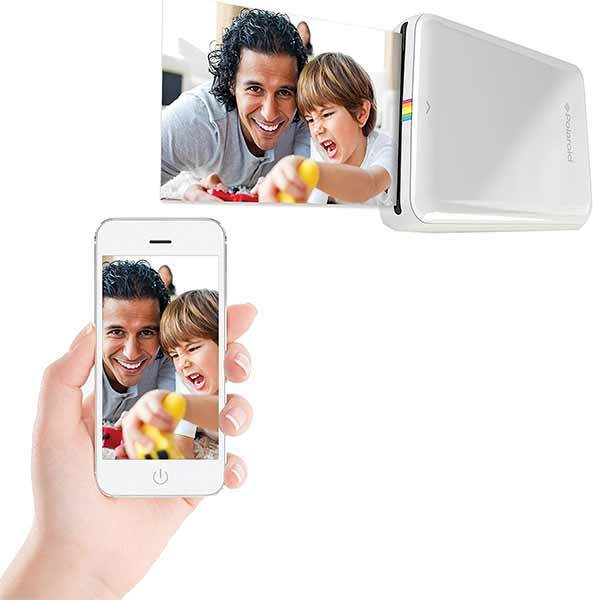 Instantly connect it to your smartphone or tablet via Wi-Fi and you will be able to print your device photographs or even those from social media without any fuss whatsoever. 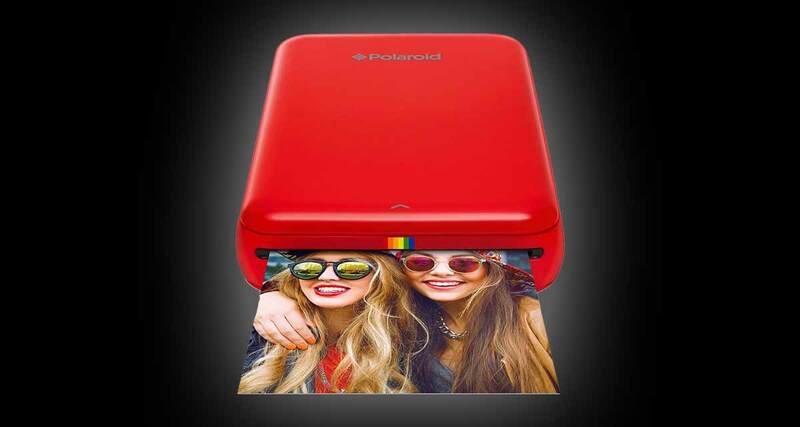 You’re also going to get stunningly vibrant photos thanks to the zero ink printing technology that is contained within the Polaroid Zip printer. Yes, that’s right, there’s no need for film, ink, toners, cartridges, or any pesky ribbons. The 2-by-3-inch photographs are not only beautiful and vibrant but are also water-resistant, tear-resistant, smudge-proof, and instantly dry to the touch. What would have once taken days to get in your hand now takes literally seconds meaning you, or someone that you purchase this for, can continue to print photographs to their heart’s desire. If you know someone who simply loves the emotion of photographs, especially given it’s the holiday season time, then grab this right now while the price is discounted.